The British Society for the Social History of Medicine is now welcoming submissions from students for their annual Roy Porter Prize essay competition. The deadline is February 1st 2017, and the decision will be announced in July. Essays must be between 5-9k words, and unpublished. The winner will be awarded £500.00. The winning entry may also be published in the society’s journal, Social History of Medicine. Click here for SSHM’s prizes page, where you can download competition entry instructions. 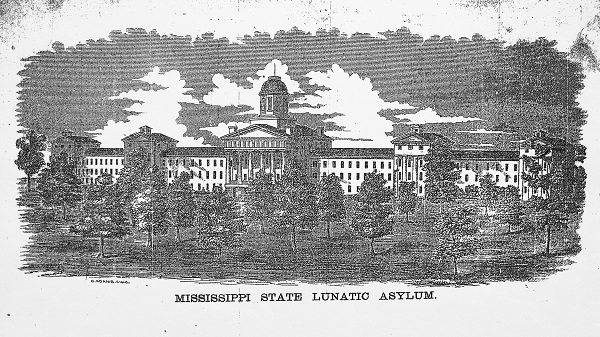 Another highlight from the AHA Today blog–an announcement of a three parted post series by University of Southern Mississippi PhD Student Branstiter. Titled “Madness and a Thousand Reconstructions: Learning to Embrace the Messiness of the Past,” the series, a reflexive narrative about archival research and historiography, will be of particular interest to other graduate students and early career historians engaging in similar processes of craft development. Branstiter’s series will explain how shifts in the reformulation of his topic (an asylum scandal in Reconstruction-era US south) from ‘event’ to ‘lens’ allowed him to investigate its contexts in a way that could more fully apprehend the complexity involved. By recounting his own historiographic processes, Branstiter expounds upon common challenges in the construction of historical knowledge, including the politics of interpretation, the benefits of allowing the data to speak, as well as negotiation of the limits of formal records and informal memory practices. We look forward to the installments! For our United-Statesian friends, the American Historical Association‘s blog AHA Today responds to the latest of perennial calls by the House of Representatives Budget Committee to end federal funding to the National Endowment for the Humanities. This is a non-binding budget recommendation, and is one of those things that representatives hostile to the NEH, etc. put out year after year…. Although urgency seems less real than apparent, now is still a good time to send a strong message to Congress that you support NEH. Here is the action alert they created to make for easy emailing to your congress person in support of the Endowment. Please participate! Here is the full post we’re referencing, for more information. Well it’s been a long haul, but it’s official. The Pentagon has ended their use of psychologists in the Guantánamo Bay prison. The post-Hoffman Report AGM in Toronto this past summer saw the association executive taken to task by the membership for ongoing failure to enforce increased ethical requirements initiated in 2008’s Petition Resolution. The media should be praised for contributing external pressure through exposure of the association’s collusion with American governmental agencies in ways that violate international human rights agreements as established by the UN, including interrogation programs run by the CIA under the Bush administration. As reported in the NY Times, a FBI-led High-Value Detainee Interrogation Group, founded under the Obama admin, is the only part of the current government to have expressed concern over the APA’s new adherence to their own policies. Here’s hoping that doesn’t prove to be cause for real concern moving forward. Some current and former military psychologists have been critical of the A.P.A. ban, saying it is so broadly written that it could make it difficult for them to work professionally in almost any national security setting. But advocates of the ban say it had to be written in a way that would close what they believe were longstanding loopholes in the organization’s ethics guidance. (2010) Is the APA Altering its Past?